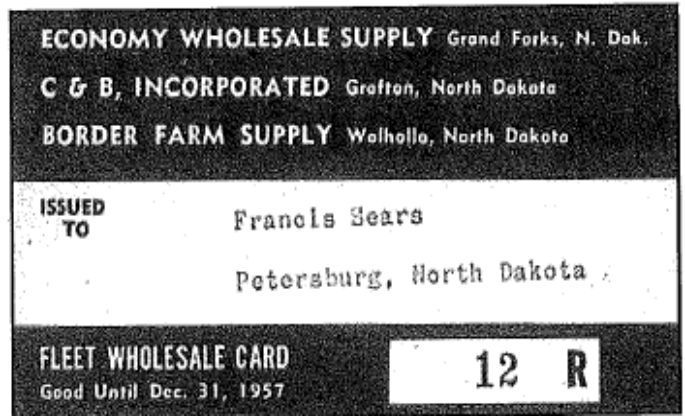 In the early 1950s, Bob and Jean Kiesau were driving through Illinois on their way from a Florida vacation when they noticed a billboard that advertised discounts on automotive parts for “fleet” operators. It struck the Kiesaus that farmers probably all own five or more vehicles, so they would qualify for the “fleet” discounts. All they needed was a “fleet” card to verify that they were “fleet” operators. 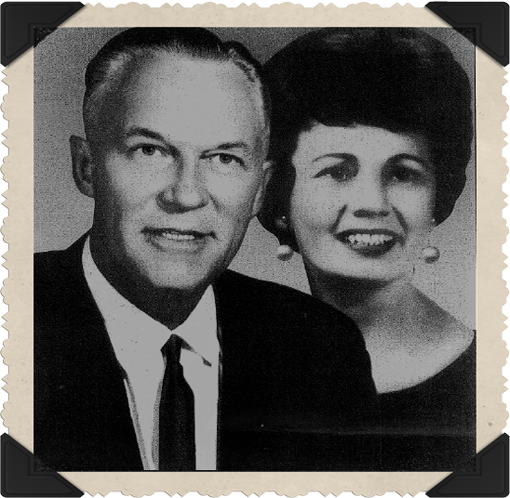 Bob and Jean took the risk and decided to open new stores built around this concept. Farmers flocked to his stores with their cards in hand. The idea was the beginning of modern discount merchandising. Soon others heard of the idea and eventually people like the Mills brothers, Harold Bomgaars and Claude Blain began traveling to Grand Forks to learn more about this new “fleet store” concept. The Kiesaus gladly shared information regarding their operation and, without realizing it, began a tradition of sharing “best practices” that is still carried on today. In 1953, they formed a consortium to pool their buying power – “Mid-States Buying Group” was born. Their product lines soon expanded from automotive to farm supplies and even household goods based on their customers’ needs. 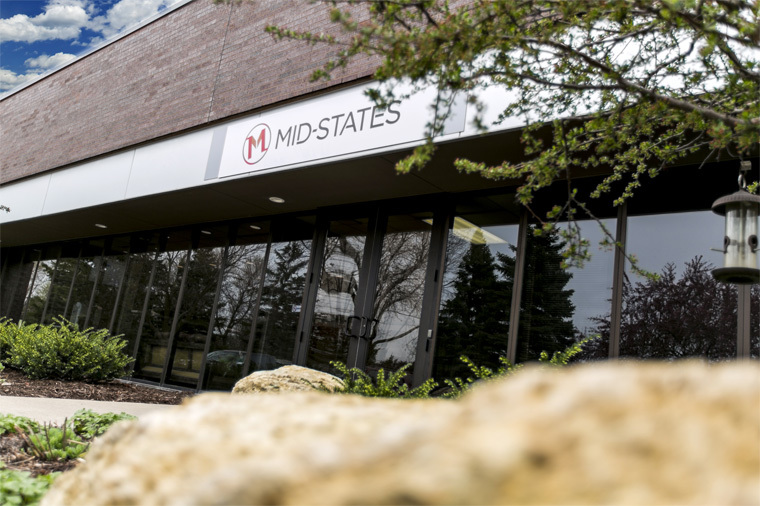 Mid-States is now regarded as one of the largest and most progressive organizations in the world of retail and is unmatched in the farm store channel. 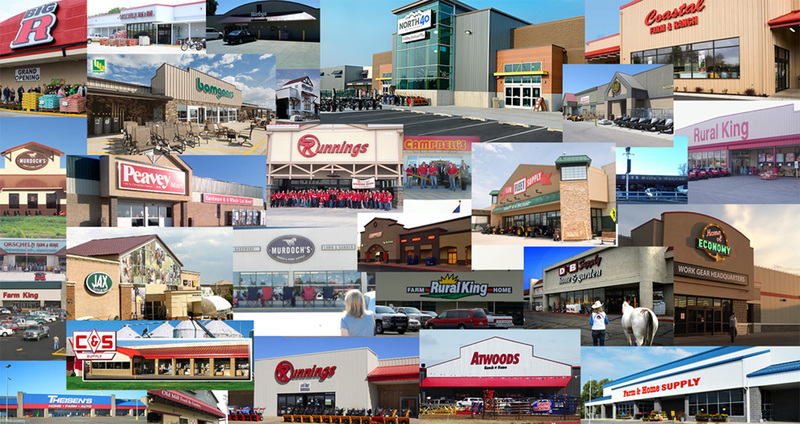 Today, Mid-States consists of 38 members, approximately almost 700 stores, employs over 30,000 employees and generates over $6.5 billion dollars in sales annually. No longer just a buying group, Mid-States has come of age and now offers a variety of central services to its membership including learning management systems, central billing, centralized warehousing, weather trend analysis, conference, trade show and event management, private label brand management, supplier program management, education, consulting, legal advice and so much more. While the years have brought growth and changes for Mid-States and their members, some things have remained the same. Hard work, good people and a willingness to step outside the box have allowed them to not only grow and prosper but to also earn a strong reputation in the industry for integrity, quality and reliability. Many members and suppliers have experienced the progression from a small cooperative with humble beginnings started over 65 years ago to one of largest farm store retail channels in the world. As in all good American success stories, it began as an idea, turned into a dream, evolved into a passion and through hard work and determination became a reality. Each year, Mid-States members gather for an award ceremony to recognize their suppliers and peers for their contributions and commitment to excellence. The most coveted and prestigious award bears the Kiesau name. Could they have ever dreamed that a simple idea sparked by a roadside billboard would affect the lives of so many and revolutionize an industry?